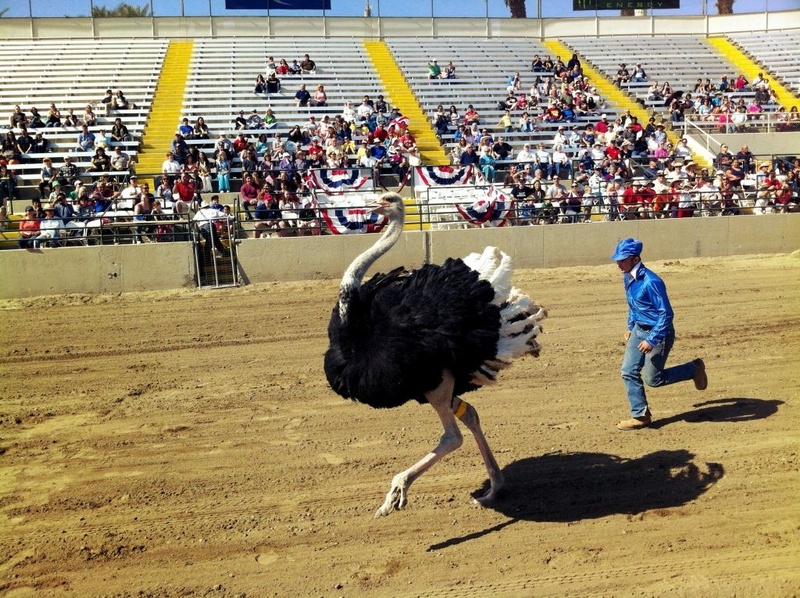 File: A jockey with Hedrick Exotic Animal Farms chases after his ostrich during a show at the Riverside County Fair. The fairgrounds hosts ostrich races, as well as camel and zebra races, daily through Feb. 24. Pachyderm shows will have to pack it in thanks to a new West Hollywood ban. 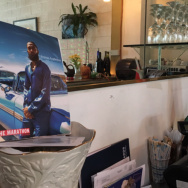 The Los Angeles Times says the City Council voted Monday to bar large-scale commercial displays and performances that use wild or exotic animals. That includes such things as elephant acts in fights, circuses, trade shows and parades. It doesn't apply to movie productions, which have their own guidelines. The meeting was marked by a shouting match between animal rights activists and owners of a commercial elephant company. Activists claimed performing elephants are abused. Kari Johnson, who owns the firm Have Trunk Will Travel, said she treats them humanely and called the ordinance unfair. West Hollywood has a long reputation for being animal-friendly. It has banned cat declawing and officially refers to pets as "companions."